I came across this post recently when I was trying to decide what method to use to create my own custom keyboard. I found the Android system API to be very limited, so I decided to make my own in-app keyboard. Using Suragch's answer as the basis for my research, I went on to design my own keyboard component. It's posted on GitHub with an MIT license. Hopefully this will save somebody else a lot of time and headache. The architecture is pretty flexible. There is one main view (CustomKeyboardView) that you can inject with whatever keyboard layout and controller you want. The CustomKeyboardView handles the rest! Even if this is not the architecture you decide to go with, hopefully it'll be helpful to see the source code for a working in-app keyboard. 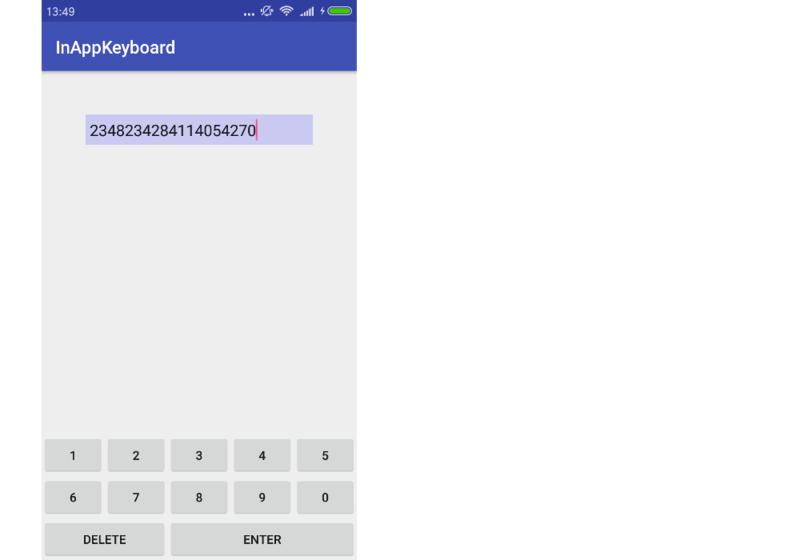 How do I create a custom Android keyboard with numbers-only? 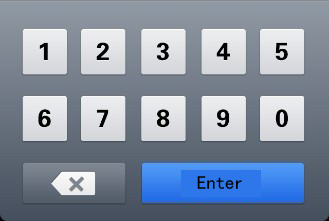 How to disable keypad popup when on edittext? Need number only soft keyboard? Is that possible to show keyboard with specific language?